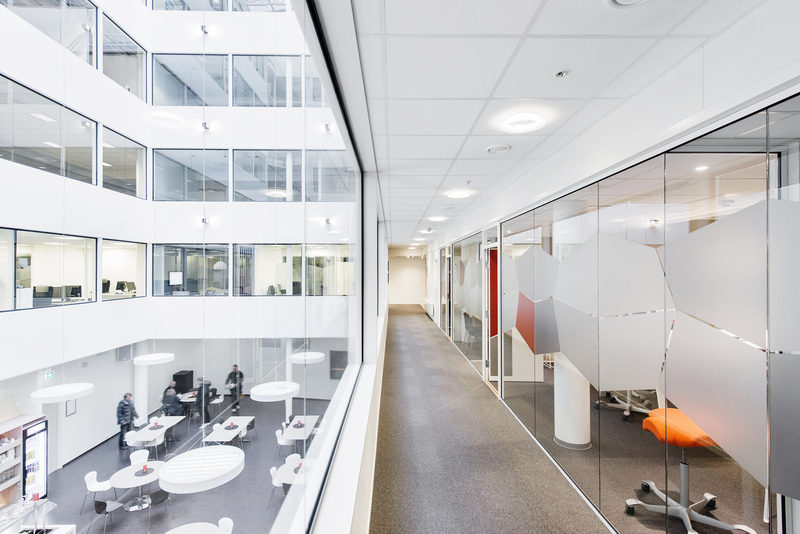 Office interiors across the globe benefit from the design, acoustics, indoor air quality, lighting and fire safety of ROCKFON® stone wool ceiling panels and complementary specialty metal ceiling panels and ceiling suspension systems. 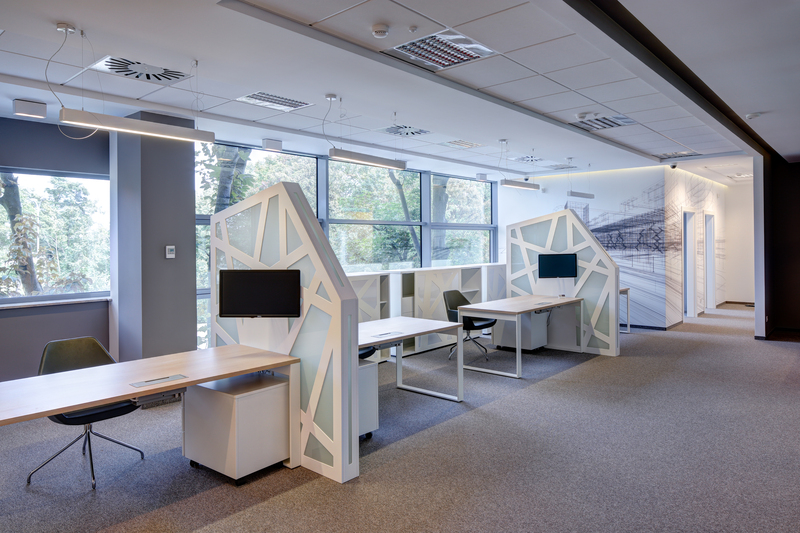 Featuring workplace projects from across the world, ROCKFON shares Office Spaces: Ceiling Solutions to Help People Reach New Heights. The new 12-page publication is available free for download at www.rockfon.com. To inhibit office noise from traveling through an open space and disturbing people, a highly sound absorptive ceiling typically is required. Due to its open porous structure, stone wool is a high-performing, sound-absorptive material used to manufacture ROCKFON ceiling panels, baffles and islands and imbued with excellent noise reduction capabilities. 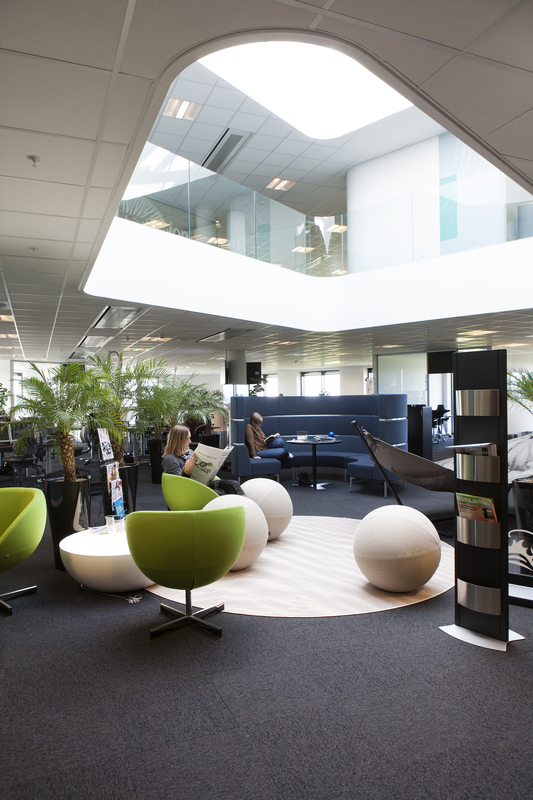 In addition to acoustic performance, ROCKFON ceiling systems also help improve indoor air quality (IAQ) in offices. Stone wool offers no nutritional value, making it naturally resistant to harmful bacteria and molds that cause skin infections, pneumonia and other airborne illnesses. ROCKFON’s extensive portfolio of stone wool acoustic ceiling solutions has earned UL® Environment’s GREENGUARD Gold Certification for low-emitting products. Along with energy efficiency, ROCKFON stone wool ceiling products are made from basalt rock and contain up to 43 percent recycled material. Combined with the benefits of light reflectance, acoustic performance and mold-resistance, the products contribute to office projects’ sustainable goals including those seeking LEED® certification. Helping further protect workers’ health and safety, stone wool withstands temperatures up to 2150ºF (1177ºC). It does not melt, burn or create significant smoke. These attributes help improve overall fire safety and limit building damage. Durable and low-maintenance, ROCKFON stone wool ceiling products supplied in North America are supported with a 30-year warranty.